”Norway, after amassing a fortune through oil and gas extraction, made the conscious decision to create incentives for its citizens to purchase electric vehicles. 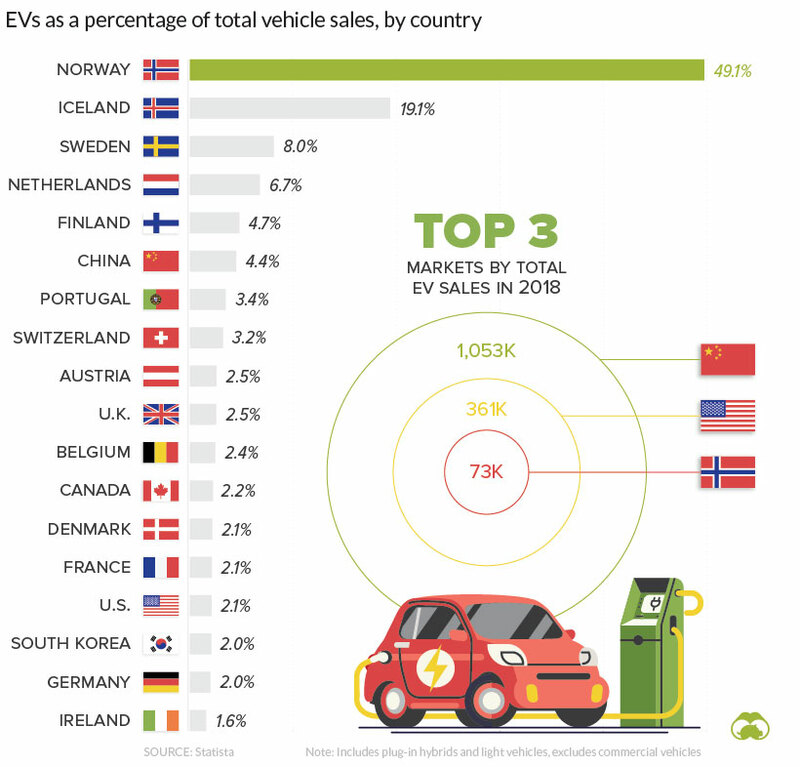 As a result, the country is the undisputed leader in EV adoption. Norways’s sovereign wealth fund that is based entirely on its oil fields is valued at $1 Trillion. I found these two graphics particularly interesting.